Lirik Lagu "Too Good At Goodbyes" dari Sam Smith. Lagu ini diciptakan oleh Sam Smith, Jimmy Napes, Tor Erik Hermansen, Mikkel Storleer Eriksen dan masih berupa single yang didistribusikan oleh label Universal Music. Berikut kutipan lirik lagunya "You must think that I'm stupid you must think that I'm a fool you must think that I'm new …". “Too Good At Goodbyes" merupakan single terbaru dari Sam Smith. Berikut Lirik Lagu Too Good At Goodbyes yang dinyanyikan oleh Sam Smith. Semoga lagu tersebut bisa menghibur anda. 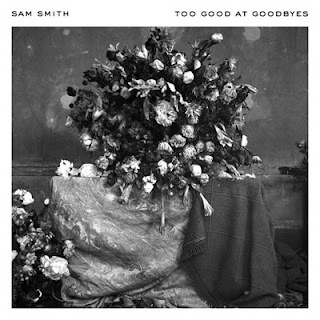 Disclaimer : Blog ini tidak menyediakan link Download lagu Sam Smith - Too Good At Goodbyes mp3. All song lyrics on this website is copyright / property of the authors, artists, bands and music labels are concerned. all materials contained in this site including the lyrics of the song are for promotional and evaluation purposes only.